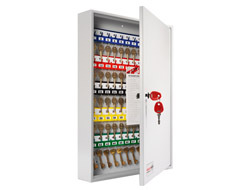 The Securikey cabinets are top of the range and excellent value. Each cabinet is constructed from pressed and folded steel and secured using an anti-pick cam lock. Each key hook comes with its own numbered key-ring to avoid the need for engraving and hooks are colour coded into sets of 10. A system sheet allows you to record each keys use which is removable for security reasons at night. 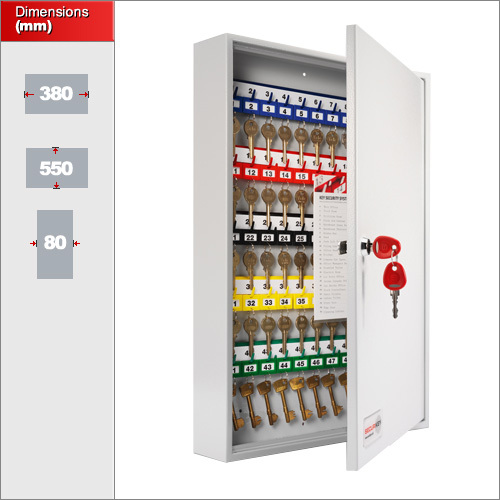 This cabinet comes in three sizes holding 30, 65 or 100 keys. Please use the drop down list above to select between the different sizes and their associated dimensions. 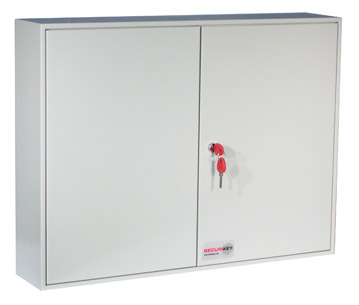 These cabinets are available in various other sizes on demand up to 600 keys. 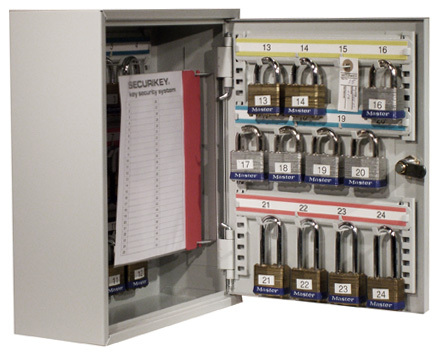 The padlock security cabinet is useful in a variety of situations and used by schools, councils and private businesses alike. 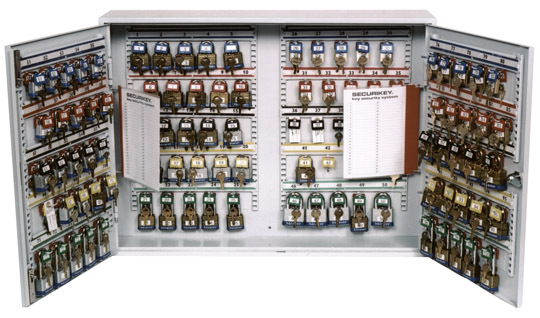 However, it is specifically designed to house keys used to isolate switch gear and machinery. Please see our safety padlock range for lock-off hasps and colour padlocks.